Nepal main page About Nepal Come with us! What to expect Partnership policy How much does it cost? The first two schools of healing were a sell-out with over 400. 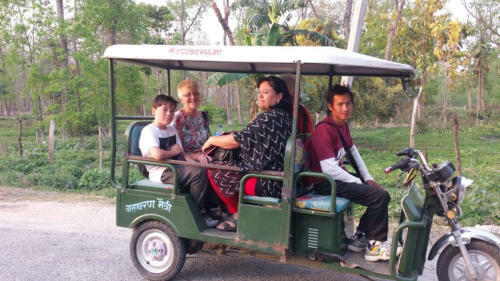 In Lalitpur, two team members went to a village to minister to a paralysed lady. On the way, they met another lady, dizzy and in pain. She was healed. When they arrived at the house, the paralysed lady pointed to her eyes. She was also partially blind. They laid hands, and her eyes were healed. They ministered some more and she got up and walked across the house. She’d been in bed for 5 years. Her husband, an unbeliever, was deaf. They laid hands on his ears and he received his healing too. Then they led him to Christ! Not a bad afternoon!! 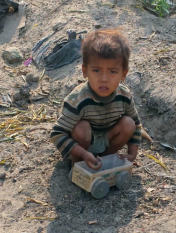 The second School was just outside the Beldangi Refugee Camp for 150,000 Butanese people. A doctor had told a young mother her right eye would never see again. After the first session, she was seeing clearly. As she gave her testimony an old man at the back spontaneously received his sight! On the second day, a man deaf for 38 years was hearing. Two of our team were taken to a dumb child of about 6. After ministry, she said very clearly, ‘Brother. Mother.’ Her first words! One delegate said she’d prayed and fasted for a relative for days, without results. Then she applied our simple methods (do what Jesus did), and her relative was healed at once. God is faithful! 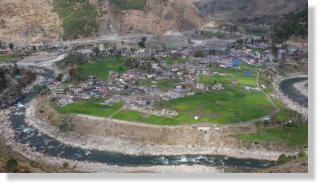 Chainpur was the road-end in the north-west, dwarfed by vertical slopes. We came because of a divine appointment last year with one of the pastors. 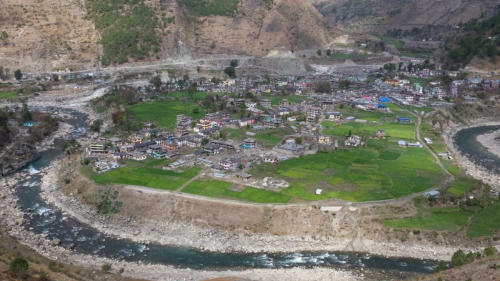 ‘No one ever comes to Chainpur.’ Reason enough! But we arrived to open stares. However, after three days, and miracles everywhere, all that changed. Our main challenges in these areas are the guru mindset (only the pastor has spiritual power); and the works mindset (we must pray a long time to see miracles). But Jesus is our example. He didn’t pray for the sick, so why do we? ‘We have never had teaching like this before!’ The testimonies were the climax. Sushil, our interpreter, wrote: As we went to the villages, we met many sick people who were not believers, but God healed them. I laid hand on one boy deaf in his left hear; instantly he could hear. One girl was crying because of fever and as I laid hand God healed her. One boy had burning eyes. As I laid hand he was instantly healed. Another small girl had left ear deaf but can hear now. Praise God! Altogether, we trained 1000, half of whom were healed; one of our most successful and significant trips. We praise the Lord for his goodness.